The National Identification Number (NIN) is a set of numbers assigned to an individual upon successful enrolment. Enrolment consists of the recording of an individual’s demographic data and capture of the ten (10) fingerprints, head-to shoulder facial picture and digital signature, which are all used to cross-check existing data in the National Identity Database to confirm that there is no previous entry of the same data. Once this (de-duplication) process is completed the data is then stored with a unique NIN that was assigned to it. Every citizen from the age of 16 years and above and legal residents are eligible to enroll for the National Identification Number (NIN). Follow these steps to Create Your National Identification Number (NIN) enrolment profile. 1. Login to www.ninenrol.gov.ng to be welcomed to the National Identification Number (NIN) pre-registration portal. 3. Sign into the National Identification Number (NIN) pre-registration portal www.ninenrol.gov.ng and fill in your bio-data. 4. Print out the pre-registration slip gotten from www.ninenrol.gov.ng and take it to the nearest enrolment Centre. 5. At the enrolment Centre, the enrolment officer scans your Barcode to pull up your applicant data. 7. Applicant need to go NIN office with his/her supporting documents which will be scanned there. 8. Once your Enrolment is acknowledged, a slip will be generated and given to you, indicating completion of enrolment. 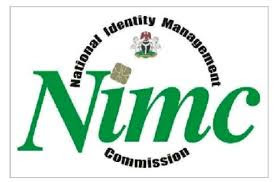 For NIN Registration Centres across Nigeria, visit www.nimc.gov.ng/?q=nin-registration-centres. I hope this tutorial have helped you. If anyone fined any difficulty then don't be shy to make use of the comment box below. If you liked this guide, please share it with your friends and family.